Have you suffered injury which you believe was caused by the negligence of a doctor, hospital surgeon, cosmetic surgeon or other health professional? We can help you from the outset by offering a no obligation free of charge first interview to discuss the medical evidence (if any), advise on the basics of making a medical negligence claim and the available funding options, including No Win No Fee agreements. For help and advice regarding your claim please contact our personal injury and accident specialists on: 020 8290 7958 or email us. Alternatively fill in our short online form and we will be in touch as soon as possible. A clinical negligence injury can be disastrous and you may be unsure what will happen if you want to make a claim. 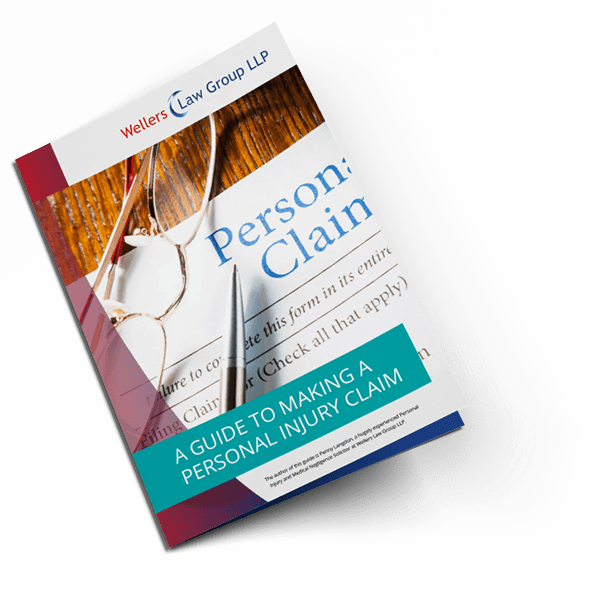 Our free Personal Injury Claim Guide can help. Click below to download your copy. The clinical negligence solicitors at Wellers Law Group LLP appreciate that lives can be turned upside down when mistakes lead to injury. We are here to help you through any claim you may have against the NHS Trust or an individual such as a private consultant, general practitioner and specialists such as laser eye clinicians, dentists and cosmetic surgery. Doctors are responsible for their own actions but if a claim is against an NHS doctor, the medical negligence claim will be brought against the NHS Trust responsible for the hospital where the injury was suffered. Naturally, it must be remembered that doctors occasionally err in judgement and it is important to note that an error of judgement does not necessarily amount to clinical negligence. The test in law is to judge the doctor by the standard of the ordinary competent clinician in the relevant speciality of medicine. Therefore, if a medical expert finds that the care provided accords with a responsible body of relevant expertise there will not be a finding of negligence. If a medical expert finds there was a breach of duty we then send a letter of claim to the relevant Defendant (for example, the NHS Trust). If liability is admitted we must then obtain further evidence to prove that the breach of duty caused the injury. With regard to fatal incidences, the death will be considered by an inquest. The coroner will consider why the death occurred by hearing evidence from the family, any witnesses and doctors. The inquest is a fact finding exercise. The Coroner is expressly forbidden to consider criminal responsibility on the part of any named individual or civil responsibility such as the negligence of a doctor. However, inquests can be extremely useful to solicitors considering a potential clinical negligence claim and an early instruction will enable us to either represent you at an inquest, instruct a barrister or give advice as to how the inquest will be dealt with. With the advancement of human rights, the recoverability of costs for an attendance at the inquest may be considered as reasonable in some circumstances. However, the Courts do not always allow costs for the Inquest and in some circumstances it is necessary for us to ask that you pay for this representation. As clinical negligence cases are complicated Wellers Law Group LLP offer a free interview to consider each case on its individual merits. We appreciate that no two negligence cases are the same as the effect on individuals can vary greatly. We listen to your view of your particular circumstances and consider the impact on your life and your family who may have to care for you either in the short term or sadly, sometimes in the longer term. We are members of the Association of Personal Injury Lawyers (APIL). Please note that we cannot offer Legal Aid. To see how Wellers Law has helped our clients claim compensation for personal injury accidents and clinical negligence claims please see our Case Studies page.